From arrests and sentencing to post-conflict reintegration, mounting evidence suggests that men and women engaged in terrorism-related activity receive differential treatment from government institutions. Though myriad factors shape the result of any case, the evidence suggests gender has unjustly affected formal responses to individuals involved in crimes motivated by violent extremism, both inside and outside of judicial frameworks. 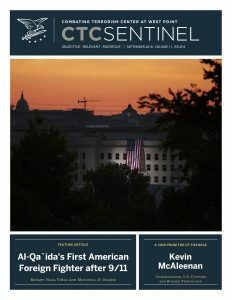 By drawing from multiple sources, ranging from in-depth case studies to expansive datasets, this article shows that terrorism-related offenders who are women are less likely to be arrested, less likely to be convicted, and receive more lenient sentences compared to men; these findings are consistent with research on the unwarranted effects of gender on sentencing outcomes writ large.